The 10-minute video features two highly experienced specialist roofing engineers Matt Williams and Gary Woods from the Synseal Technical Services department, working as a team to fit the Celsius Solid Roof above existing PVC-U window frames to mimic a typical UK conservatory retrofit-style installation. Fully approved and registered by both the LABC and LABSS for installations in England, Wales and Scotland, the Celsius Solid Roof features an all-timber construction with Kingspan TEK structural insulated panels (SIPs) to deliver a truly warm roofing solution. This engaging video uses real time and time lapse footage, supported by graphic details where required, to demonstrate how swiftly and easily the solid roof can be assembled. 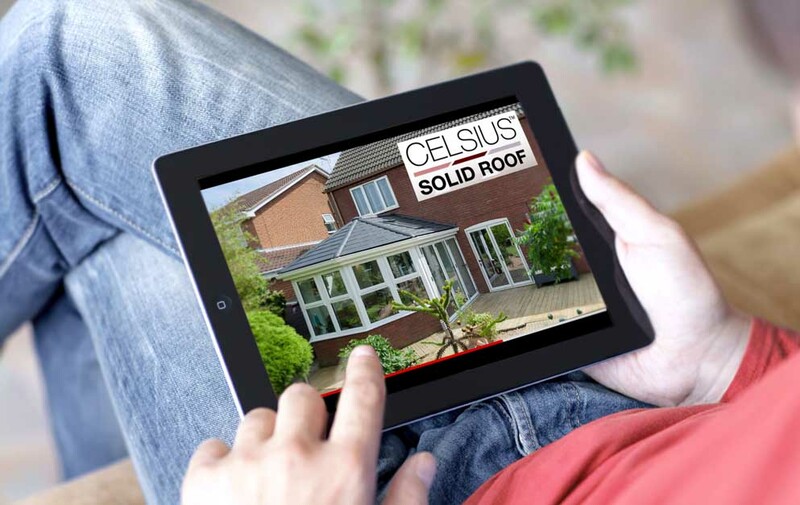 Celsius Solid Roofs are manufactured in kits with components precisely dimensioned to meet specific site requirements. Starting with the eaves beam and wall starter timbers, Matt and Gary construct the timber and SIPs sub-structure in sequence on the video, before fitting the eaves tray sections, breather membrane, wall starter soaker, tile bar sections, rows of interlocking Envirotiles, dry-fitting hip caps and ridge caps, soffit and fascia boards and finally the gutter brackets and guttering assembly to complete the roof. 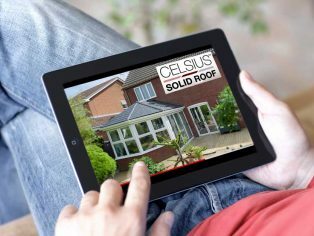 “This technical video aims to deliver a detailed guide to building our fast-fitting Celsius Solid Roof.